When you give the player a rare but powerful item which can only be used once but is never really required to proceed, most players will not use it at all, because they are waiting for the perfect moment. But even when this moment comes, they will still be reluctant to use it, because there might be an even better moment later. So they keep hoarding it for a moment which will never come. In the end, they will carry the item around until it is outclassed by other, more readily available resources, or even until the very end of the game. That means that such one-shot items don't provide any gameplay-value at all. They are simply too awesome to use. What can you do to encourage the player to make use of their one-shot items and not hoard them? You could try to use arbitrary hacks like level/time limits. This however won't actually make people use them; it just means that they'll throw them away when they hit the level/time cap. It's also terribly arbitrary and artificial. You could try to just tell the player "Hey, remember that thing I gave you? Have a go with it now!" But that's horribly inelegant even if you can manage to do it in character and story appropriate dialog (and if you don't forget to check to see if they already used it). You could simply make later encounters so difficult that they effectively can't proceed unless they start burning through their rare one-shots. But then, if they used them all up earlier, they're boned. And that's all your fault as the game designer for not telling them that they weren't supposed to use them yet. The fact is this: people are creatures of habit. Rare, one-shot items, by their very nature, cannot be habitually used. So people will not be in the habit of using them; they will be in the habit of saving them. So you should look at your game design and ask yourself a question: what good does it do to have rare, one-shot items in the game at all? What game design purpose do they serve? Resource management isn't really served by such items, since they are so few in number that people can't really manage their use. Take a typical RPG level, a dungeon of some sort. You buy one-shot items at the store beforehand to stock up. And you hope that you have enough to last you through the level. You have to manage your limited resources, knowing that you can't just easily get more without backtracking. Rare one-shots don't help with that. You can't buy them, so they aren't part of money management. They're too rare to get in the habit of using. And they're rare enough that using one is a major investment. Whatever purpose you intend for rare, one-shot items to have, I imagine that there's a better way to achieve that purpose with a different item. For example, let's say you want the player to have access to some huge effect powers. Area damage, heal-all, whatever. But you don't want them to be able to buy large stocks of it, as it would make the game too easy. Make a rechargeable item. A staff of greater damage dealing or whatever that has only two charges, but you can recharge them in town (for a fee of course). Then, they will be encouraged to actually use them, since they know that they can at least recover the charges later. Thus they get into the habit of using it; it becomes a part of the game for the player. You can even upgrade the item later, with greater charge capacity. It also makes it less likely that they used them all up on unimportant stuff, since they can recharge them at designated locations. Also, if the item is rechargeable and therefore reuseable, the player has the chance to practice with the power. Which means that you can now make the ability something more than the typical boring "do lots of AoE damage" or "heal lots of life on all characters" or whatever. You can make the way in which the player uses it affect how effective it is. Obviously that depends very much on the nature of your gameplay. But the main point is that, if the player can practice with it, then they can build skill at using it. So you can make it a skillful ability. Like Byte56 suggested, limiting how many of a given type of one-shot items a player can carry pushes players towards using them. Another possible push is to make the game so difficult without one-shots that players are practically forced to use them. This of course also means that you have to make them reasonably available and provide some means for the player to acquire more if they run out at a critical point, this could be by letting them run from the fight to go back and buy or farm for more, or by dropping such items for pick up during battles, so that all the player has to do is dodge until enough items have been dropped. Think of ammo in shooters or health potions in RPGs, both are pretty much mandatory to use, but they don't cause any problems because they are supplied in surplus. Though they are perhaps not as exciting as a rare one shot item. A different take on the matter is to provide non-consumed items with long cooldowns instead, like 15 minutes. Effectively that is maximum once per battle, and only for use in some battles if the player want to go at a reasonable pace. But the player always know that if the effect is really badly needed in some later battle they can just wait for the cooldown before entering the fight. Small Inventory Size: hanging on to the item without ever using it costs one precious inventory slot. Players that use the item quickly will be able to bring back more loot, spend less time agonizing about what to drop, etc. Burden Penalties: hanging on to the item 'burdens' the player character. Players that use the item quickly will have have more stamina/faster movement/quicker recovery/lower taxes/whatever. Opportunity Cost: hanging on to the item forces you to do things the hard way. Players that use the item appropriately, instead of holding on to it, don't have to waste other precious resources (like money, or the precious resource of not dying). Even more effective if costs accrue interest, with early costs being harder to recover from. Decay: hanging on to the item decreases its eventual effectiveness. Technically this already happens, since early items tend to be weak later on, but making the item explicitly get weaker adds a concrete incentive to use it quickly. Accumulating Risk: hanging on to the item risks events with low, but constant over time, probability. Maybe potions are slightly unstable and blow up now and then, maybe enemies can attempt to steal the item and then use it against you, maybe you get targeted specifically by thieves because you have such a cool item, etc. If you, as a game designer, know when the opportune moment arises (eg. boss battle), I would give a cue to the player. This could be a character saying "Sure could use that BFG right about now", or even a tool-tip reminding you that the weapon is awesome. Sometimes, players will just forget that the weapon is there, so a little reminder at the right time can help. I think looking at it from the "this item is too powerful" point of view is missing the point a bit. In my view, it's more about hoarding items because they're limited. A good example of this problem happening is in a game like Skyrim where you can make potions. Sure, 5% fire resist for 5 seconds isn't terribly powerful by almost anybody's standards, but it still accumulated to the point where I didn't want to get rid of them because 1) they were a limited amount and 2) I couldn't predict the future. So that being said, I would look at the problem as a way to mitigate hoarding behavior. One of the most successful approaches I've seen is to take the items away from the player at known intervals. For example, make it so you get consumables inside dungeons, but once you leave the dungeon the consumables go away. That way, the item can't be hoarded because it isn't permanent. Since you don't have persistent consumable inventory beyond the dungeon, the user doesn't feel that the item has as much value. Alternatively, you could also do things like dramatically limit the number of single use items the player can carry. The logic being that if you don't use the items you're leaving a bunch of consumables behind. It isn't as good an approach as forcing the items out of the user's inventory, but it might also encourage the user to churn through their items. Have something more valuable than the item that the player can lose if they hesitate to use the item. EG You might use your single-use invincibility potion to save you from death in a game where death is permanent. I think the only games in which such an item can work are ones where there is some form of persistent punishment for failure: Things like permadeath, loss of money/exp/stats on death, limited lives before having to restart the game (that's pretty outdated, but whatever). So when the player gets stuck or comes up against a challenge that they are likely to fail, they have an incentive to skip part or all of this challenge using the super item. You could look at a lot of old arcade shooters, where you where often given about 3 bombs to use per life and could not recover any more. Bombs where valuable, but not as valuable as lives. Players would never use them unless it was necessary, but they wouldn't hesitate if they thought it would prevent them from dying. The same principle can be applied to single-use items, as long as there is something more valuable that the use of such an item can protect. In a lot of games, failure is not really penalized and therefore there is no reason to use rare resources. There is no reason to use limited resources to prevent the loss of a life when you have infinite lives. I suppose you could add a particular encounter to the game that forces the items use (like the Master Ball in pokemon), but that can fall into guide dang it territory. Making the game more difficult is not a solution, as players will not have the item for the vast majority of their playtime. "If this is hard now, I should save the super-weapon for when it's even worse!" EDIT: As zzzzBov points out below, you could also make the item itself disappear upon death. Which would certainly make players more likely to use it. Thank you all for your answers. There are some great ideas between them. I decided that instead of accepting one of them, I decided to collect all ideas from the posts above, summarize them in one answer, and accept this answer as reference for future readers. They develop a habit to solve certain situations using certain tools. When they have a tool which can only be used once, they will never develop a habit for using it. As a result they forget that they actually have this tool. They don't know what the item is actually doing, so they aren't aware when they are in a situation where it could be useful. They don't want to do a mistake and prevent further progress by using an item too early. Make it possible to re-obtain the items after use. Give the player so many one-shot items, that each individual one doesn't seem that valuable and irreplaceable. Add severe consequences to dying (more than having to reload the last savegame), so that the player will use one-shot items when desperate. Don't make them single-use. Add a long cooldown to items instead or allow them to be recharged with another resource, so that the player can use them multiple times. Make it impossible to hoard them. When the player is aware that they will lose the item anyway, they will use it sooner. This could be done by adding a time-limit, removing them after completing the level or severely limiting the number of items which can be carried at a time. Punish the player for hoarding too many one-shot items, so that they will be motivated to get rid of them soon. When creating any item for your game (rare-single-use-only or not), you need to think carefully about what that item is really for -- why is it in the game? What purpose does it serve, and how does its presence make the game better? If you can't answer those questions, it probably shouldn't be in your game. In this case, rare portable single-use-only items are usually placed into games as a safety valve against mistakes in the game design. That is, we balance the game as best we can, but if a user finds a particular single challenge which is just too much for them, they can use the item to avoid becoming stuck and continue to progress in the game. This works in exactly the same way and for the same reason that puzzle games will often include a "skip up to 'n' levels" feature. If players don't use this sort of rare one-use-only item, that's not a bad thing that needs to be fixed; it means that your game wasn't so difficult that they had to use the thing to become non-stuck. If the item is too awesome to be used, then the difficulty of the game is too low. Alternatively, the player might be insecure about using the item because he doesn't precisely know the benefit of doing so. I have funny idea about your problem, maybe include some description with funny story from which you can tell that if the item is destroyed it will be randomly placed on the map again. So basically player can find this item only if he does not own one :) Also achievement with "super legandary item holder" and "super legendary item user" would help, the achievements are really great to make players do what you want (I am talking from the players perspective). Chain the item to the location where it's to be used. If you can't take it with you, better use it where it's located. This is actually quite common. Many shooters for instance have fixed gun emplacements. Powerful in the area they're located, but you cannot put them in your inventory. Make the item not so rare and add it some cap. Let the player know that the it will be helpful at some points and there will be more ahead, if the player won't use it he is gonna waste it after the cap is reached, like heavy weapon ammo in ME2. Make the item auto-use. In Metal Slug more effective weapons replaces the current weapon until it run dry of ammo, then you return to the usual, boring, infinite ammo, gun. This could apply to healing, invencibility, damage buffs, etc. Make it needed. In a setting where healing is hard to come by, an item that fully heals the player is awesome and will see use. If you give the player awesome bombs with splash damage, make sure that there is cluster of enemies to tempt the player to try and explode them all at once. 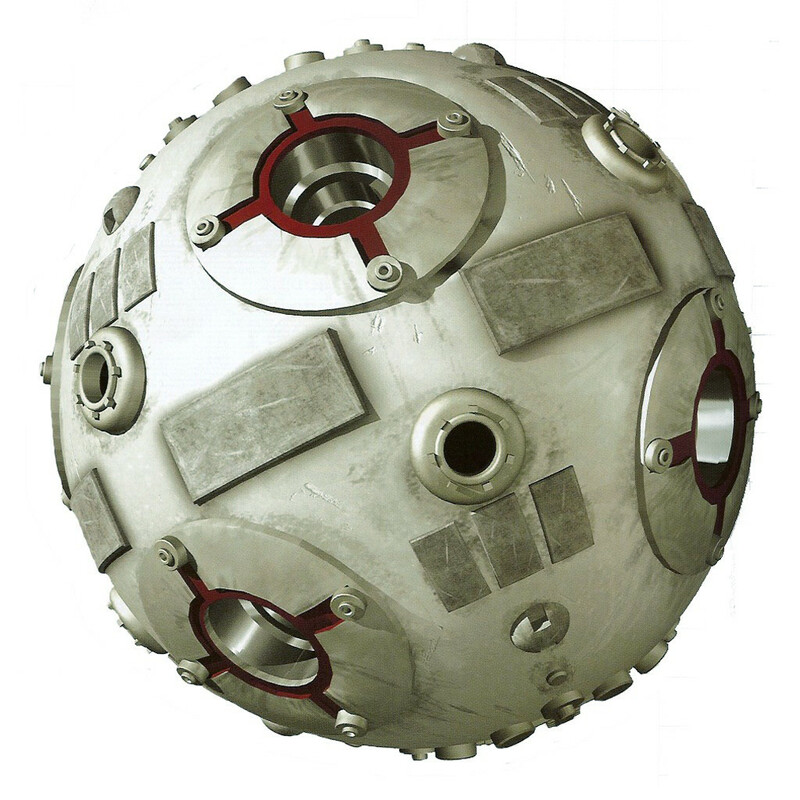 The Masterball was a one-time-use super item that could capture a Pokemon 100% of the time, no matter how much health it had left. You only came across one in the entire game. Other types of balls had a capture rate well below that of the Masterball and usually only worked on a weakened Pokemon. Sure, some users may have saved the item and never used it, but most users that I know used it on one of 4 extremely hard to catch Pokemon (Mewtwo, Zapdos, Aritcuno, or Moltres). That's not to say nobody saved it forever... but overall, I think this item had a pretty good balance. That said... here are some options/suggestions for creating your own super item. Even super items need to have limitations. Have you ever played an RPG where you could kill the final boss by simply using an all-powerful item, avoiding the fight completely? I personally have not. A super item should not be so powerful that it takes away a user's sense of accomplishment. Perhaps a super item only becomes available when the user's character is below 15% health. At this point, the user would likely be willing to try anything to avoid losing! An example of this is super moves in various fighting games (such as the Fatal Fury series) that can only be used when a character is very weak. While this example is a bit of a stretch... FPS games come to mind. Say a user finds a rocket launcher, which is obviously overkill for a single armed guard. However, suddenly there is a cutscene with a massive, chain-gun shooting, rocket-launching helicopter flying around wreaking havoc! Most players will instinctively pull out the rocket launcher instead of trying to beat the helicopter with a normal gun. Let's say they already wasted the rocket... perhaps you could require them to sneak around the helicopter instead of shoot it out of the sky? If you really want people to use the item and it's super-rare, consider making it come in a three-pack: one to waste on a test, one to use, and one to hoard. Or a two-pack, if people can reload easily to get back one used to test. If you want to make sure they don't all get used at the same time, you can then give it a cooldown. Players should use an item when either (1) they can replace the item for a cost which is lower than the cost averted by using it, or (2) the cost of not having the item available later will be greater than the cost of using it immediately. I don't like it when games punish the player for conserving resources in any fashion beyond the fact that players naturally don't benefit from things they don't use. I also dislike it when games arbitrarily confiscate conserved items. Instead of doing such things, games should try to convey to the player the idea that if an item will be needed, it will be possible to replace it, though perhaps at the cost of having to do some otherwise-unnecessary side missions. If the player can, given time, earn an unbounded amount of in-game currency, an item might be sold in the "arcana" section of a shop where e.g. the first MagicWhatzit costs $1,000; the second costs $1,200; the third, $1,500, etc. rising at a rate which is noticeable but not overly frightening. Such rules could encourage reasonable conservation without encouraging excessive hoarding, since players could have a sense that if they can avoid using a MagicWhatzit, they can avoid having to run a 10-minute side mission to get another one, but if running a ten-minute side mission would be easier than getting by without a MagicWhatzit, then they should use it. This ties in with an economic principle, which has real-world consequences as well: if one wants people to perceive a resource as having a significant but not limitless cost, they must actually pay the cost if they use the resource. If squandering a resource will mean that a players has to spend some of their real-world time running a not-terribly-exciting side mission to get it back, players will have an incentive not to squander it. If the game were to let the player skip the busy-work, that incentive would vanish. While it may seem that an ideal game should avoid giving the player busy-work, such busy-work may encouraging sensible resource management in a way that can improve a player's overall enjoyment and satisfaction. A simple solution would be to make this special item available in-game for a limited time. For instance in 2012 Jagex (creator of Runescape) added a special item called the "DeathTouched dart" it could kill any opponent with just one hit. It has been said that it will be removed on some unspecified date. That way, most players used their darts and their purpose has been fulfilled. Another example from my game experience comes from an old game called "Star Wars Jedi Outcast Academy II", I remember that I aquired some rare items like Seeker drone, which were supposed to help you fight your enemies. Due to their rarity I have kept them until the end of the game, hoping they can help me fight the final boss, but to my dissapointment it hasn't even left a scratch on him. In that case I would simply make them more common. I like the ideas of Rechargeable item and item with a Cooldown, but, as Nicol Bolas said, that doesn't make people use them. In fact, to disagree a bit with him, as I'm more inclined to hoard a rechargeable item than one with a cooldown. The Cooldown is tricky too. If it's too short, maybe the attack shouldn't be too powerful or it will ruin the game's balance. If it's too long, players may save it for the "really tricky and hard boss" that may never come. Are the players aware of the coming challenges? Can they see the enemy before engaging them? See MOBAs (DOTA, LoL, etc). A character's ultimate attack is the big powerful attack, that has the biggest cooldown. A player may or may not engage an enemy depending on whether the ultimate attack is recharged or not. My take on the matter is a bit more "gimmicky". What about an item with a cooldown that "levels up" the more it's used. It starts weak, or with only one effect, and with use it gets better. With some time invested by the player it may become a really powerful item and a viable strategy. It also plays with the players curiosity, making him want to discover the new abilities. Excellent question. I don't think I've ever used an elixir in a Final Fantasy game, which is a perfect example of your point. The real issue is that most games are really easy. Random battles are never hard enough that you have to use an item mid-battle, and bosses aren't much harder. The standard method is to attack until you win, then heal after the battle is over. Getting low on HP isn't uncommon, but getting low on MP is. Most games are more about grinding than strategy. The problem is that after the first hour or two of most games, magic is effective enough that you never have to use items again. If you make heal spells less powerful than items then it will force players to use more of their good stuff in battle. Make the good heal spells really expensive, and the cheap ones less effective than items. Give enemies attacks that devastate multiple party members at the same time. In order to heal everyone quickly enough to avoid being killed, items will be necessary. This is especially true if most the characters don't have healing spells. If the attack also drains MP, then players are more likely to use their best items rather than waste multiple turns restoring both HP and MP. Another way is to put really hard, optional bosses deep into a dungeon, where it's not possible to go back to later. Put the boss next to a save point, and make the battle hard enough that they'll lose a few times. In this case it's clear to the player that this is one of those moments that they've been saving their best stuff for. After losing two times already, they'll use their elixir rather than risk dying again. I like the Path of Exile model where rare one shot items double as a form of currency. The added utility means that if you don't want to use the one shot item yourself, you could always trade it for a permanent item of equal (subjective) value. Furthermore, I think it's important for games like these to gradually progress in difficulty to a point that is essentially unbeatable. When you get near the limit of your character, there will be a real need to use every last rare one shot item to get every last statistical boost you can. In exchange for using your rare items you have the chance to progress further in the game than most people have and join an "elite" group. That could be accomplished by being a higher level, having flashy visual effects, or even just a leaderboard. Tell the player in advance when they are going to get a refill. Maybe the first or second time they will assume there is a boss battle between now and then, but after that they should get the hint. Alternatively, make using the weapon so fun that they don't WANT to save it. This shouldn't really be a problem if the game is enjoyable enough that the player wishes to play again. They will use it the second time. I draw this from my own recent experience playing Lord of the Rings: The Third Age, not having played any rpgs since Final Fantasy III (or 5, it was a translated rom on MAME) over ten years earlier. The first time through, I used no items except healing potions (and only until the magical healing could be employed). Second time, I had a sense of how many items one could hold, how often they appear, and context for where they would be useful. They're just exploring a smaller sub- universe first. On the other hand, you could try making the first super-item necessary to pass some challenge (or enemy) very early in the game (just once), and then leave the rest optional. This should encourage the player to keep a lookout for where the super-items are useful. Of course making it necessary makes it integral to the whole game and may affect many other decisions (player must acquire the item or have the ability (clue) to go back and get (find) it). Or, have them rare but not solitary and have a maximum that can be held (like 1). If the player can only hold one, but finds more that can't be picked-up, that should encourage their use. Or have NPCs advise them to make use of the item. Shopkeeper: I see you have the magic acorn of instant death; when you face the great monster in the wood, use that on him, but only after he gets splashed with water. There are many potential answers, but really you need to ask why it bothers you if a player decides that they want to store this item for a later date. When players invest time and energy into a game, they do not want to feel in some way forced to use an item at a certain time and this is why there was a big backlash against Quick Time Events (QTEs). Whilst you will always get some users hold onto that rare super item, you will get others who use it first chance they get regardless. It is some happy medium between these two extremes that I believe you are looking to promote and that will not be achieved by either punishing a user for not using the item, or by rewarding them to such a degree that early use unbalances your game. The most effective answer is to make it so the item is not so rare that the player will never see it again if they do use it. If it is also clear the item will not provide any real benefit in endgame boss battles then that deals with the tendency to hold onto things just for the big bang at the end. I believe the real answer falls to careful selection of the properties of the item, the benefits it will provide and what limitations get placed on those benefits. this will get you to the happy middle ground where most players use the item before endgame, whilst you will always have some that never use it and some that use it the second they get it. I have no professional knowledge in this field. A simple programmer, but an ex professional Gamer for Consoles. The trick here is to make these too awesome to use items, Multi use items. The player will immediately feel the urge to use one, but never feel terribly scared to lose them all. It gives you the understanding of what i does early. I play a little different than others, because I need to know the aspects of the items I collect. The biggest example I have would be the Divine Blessing currently in Dark Souls. You have the opportunity to get 2-3 per entire play through. It's fantastic for quick healing, reducing bleed up, poison, curse...all trivial for in game, but it's full heal in less than 7 frames makes it incredible for pvp (even though healing is frowned upon...trivial comment) and for hard boss fights. I received 1, and used it immediately not knowing what it did. Never received another one. boom. Give 3 uses, and you won't need to truly worry about them saving it forever. They will understand what it does, and when they want to use them. Now if this item is purely unbalanced. I simply say, don't do it. No player enjoys an unbalanced/unchecked weapon...in any game. Can you imagine having a golden gun through all of 007? How did you feel about CS AWP users? Majora's Mask had the Fierce Diety Mask...but it was checked to 1 fight, and a ton of effort to get. Call of Duty approach- You get this gun in these situations on these gametypes. Use them while you can because they aren't permanent. I just used all my ray gun, but i'm alive. an there is a chance I could get it again. Borderlands approach - Give them a rarity weight and make the power within 1 standard deviation of the mean of the draws of the level you're at. If you get one, you won a digital lottery. Halo Approach - Limit the uses, balance by making the power is available only with skill (sniper rifle has a faster turn speed unscoped), and allow it to be regained. Platform Approach - Limited TimeFrame, instant Activation. So far balancing is really key here for weaponry. If it's a weapon, you probably shouldn't OP it. Otherwise the community will wreck the name of your game, Mortal Kombat's no weakness Kabal shot it's followings lifespan in half. Truly, depends on the situation but if you really want to get someone addicted and invested in the game. You can follow even the blackhole of success's right now "Rage Of Bahamut"...don't play it. but you can study it. They use old Psychology standard. The more effort you put in the better stuff you get...sometimes. Don't reward them for every little thing, but in non determinant intervals reward them. They'll play more and more, knowing there is a chance. I'ts still up to you on how you want to implement it. The most common reason for hoarding it is that the user doesn't know what is the best time to use it. so, one simple way is to name it in such a way to make it obvious where its best use lies. The more generically powerful an item is, more the likelihood that the user will hoard it as he cannot zero in on its optimal use. Make other items more expensive to acquire if they have an awesome item. Shop owners may notice this item on a character and assume they have access to great riches, and since they have so much money the merchant can overcharge a bit. Another solution to the problem would be a one time pass/fail event that doesn't affect the storyline, but could cause benefits. For example, a town that has some unfinished research that could benefit you, which is under attack and if lost, game would continue, but you wouldn't get the tech that it would've given. Of course, it would have to be pretty much a no win scenario w/o the use of the 'too awesome to use' item in order to force the use of the item. (similar to Luser Droog's, but I think avoids the 'necessary' drawback. why have such items in the first place? Rethink your system to where you don't have to choose between things that last forever and things that can be used only once. Have things wear down over time, at which point they either have to be repaired or replaced. More powerful items can be made to wear down faster, and/or be more expensive to repair and create (if you have a crafting system). Ryzom did this very well, having a highly involved crafting system where the best items in the game would require rare resources that could only be harvested at specific times in seriously high risk locations, often requiring teams of people just to protect the harvesters against the local mobs. It could take weeks to gather the resources to craft one of the best weapons or armour pieces in the game (over time of course people started hoarding the raw materials, some guilds even going so far as to harvest things they didn't need in order to deny them to others). Combined with storage options that allow enough inventory to keep items for special occasions, this created both a lively trade between players (it took a lot of effort to learn to craft those items too, so the number of people capable of doing it was low and not always the same as those who could harvest the raw materials) and provided an option for people to have different equipment sets for different occasions (which was essential, as different mobs required different armour and weapons to combat, and for pvp different gear was required again, harvesters needing different gear again for that). The game may still be up, haven't played it in a few years though, might go and take a look again. Good memories. I would advise against using such items. Or maybe if you do use them, than just let them exchange it for a decent amount of gold / score at the end (or when item is obsolete). So if you ended up hoarding it, it doesn't become completely useless. Personally when I see such items in games, it makes me quite upset. The reason is if I use the item, and still died, I wasted it. If I don't use the item, it will just take up room forever. Sometimes I just toss the item away or use it on next stupid thing, so I don't have to worry about it for the rest of the game. This is a very interesting question. Happened to me a lot when I was playing games myself! I'd say you can never penalize players for not using the item, they won't like the game if you do. You should not alter the item neither, e.g. making it rechargable makes it a different kind of item. Instead give the player something for using the item. Not something he can use, but something immaterial that he/she wants. I think the best would be an "achievment". E.g. you have a nuke-it-all bomb that kills all your enemies. For using this item, give the player an achievment "Seen a nuclear explosion and lived to tell about it". Not swamping players with loot is a crucial first step to getting players to recognise, store and use the special item at a good time... in conjunction with many very constructive viewpoints offered here, including limiting carrying and usage, and economic interplay. Often, players don't use what they're given because there is just too damn much loot, too much chaff and not enough of real value, dropping constantly. Sacred II is one example of this. Nearly everything was magical; rarely was a new drop worth swapping out for. In order for something to appear "special" it has to (a) stand out visually from the rest and (b) even if visually distinct, not be a needle in the haystack of "items which I'll put aside for later use". This means pacing special drops. In most games, items are represented by 2D icons only, and in those like Skyrim where they are full 3D objects, so many objects are so heavily visually embellished that it's hard to tell the "special" from the "mundane". I find the general visual trends of a lot of modern, "loot-heavy" games to be overwhelming, even draining. There is often too much to process. Lower budget games seem to be better in this sense, since they have an art budget that only allows simple art styles. Simple is good. As you look over Action RPGs you see a trend of increasing drops, which has largely contributed to irrelevant drops. One of the worst games for this was Sacred II. Just about everything was magical, yet almost none of it was worth swapping your current items out for. D2 had special graphics for uniques but sadly reused graphics for higher level base items, once again reducing cognition. If you go back to games like Darkstone and Diablo I, or earlier games like Shadowlands, you begin to see far fewer magical items, and far fewer items per se. This sort of approach enables easier cognition of the really special items, like Windforce or Messerschmidt's Axe. In Moria and Angband, there is a good sliding scale on this, with almost all mundane items early on and almost all powerful items near the end of the game. Baldur's Gate, an RPG in the traditional 80's/90's CRPG mould, somehow always had me using the special items. I learned to trust BG that way, as I found that specials were absolutely worth using and conferred substantial bonuses. This may be in part due to the well-defined D&D combat systems. Not the answer you're looking for? Browse other questions tagged game-design inventory or ask your own question. Auto-organized / smart inventory system? How can the lategame in a 4X game be made more exciting? How to deal with weapon power-creep in an RPG? How can I handle sharing storage units in multiplayer? What is “storage” in MMOs with vehicles good for, where all equipped items get removed?